Education is the single-most important driver of economic empowerment for individuals and countries. Lower Fungom villagers experience very little luxury in their lives. Drinking a beer, or buying some new clothes can amount to local instances of personal luxury. Sending children to school, too, is a luxury for many. In Lower Fungom, as in rural Cameroon in general, there are both government- and community-run schools. The latter far outnumber the former as to number of buildings, of pupils, and of teachers. Furthermore, only few teachers are paid by the state so that also in government schools one finds teachers whose “salary” is paid by the village. Or should be paid. The burden of children’s education lies solely on the shoulders of farmers whose standard of living is most often variable–where the lower end of the variability range is total lack of means. This results, amongst other things, in ca. 8x6m classrooms shared at the same time, every day, by two or three different classes for a total of up to 90 pupils; or in dozens of community teachers who work for free and have to survive on farming, thus devoting less time, or lower-quality time, to teaching. Libraries… well, are you kidding? 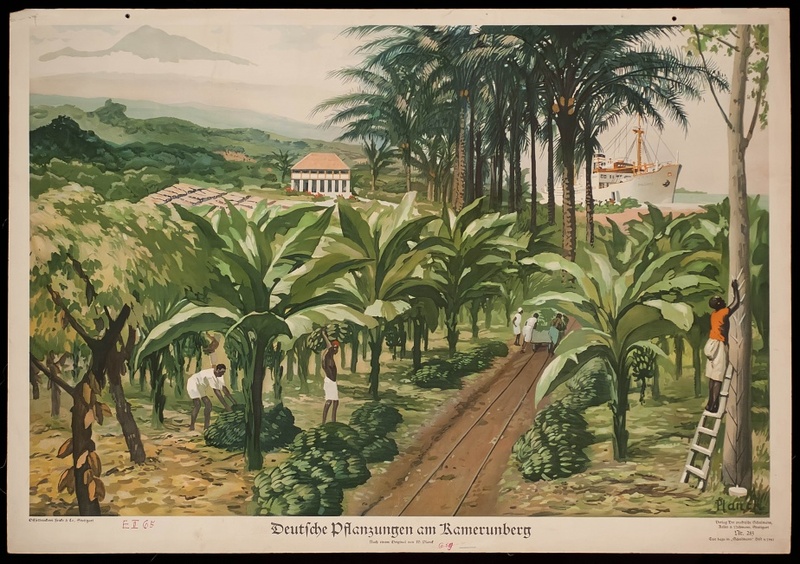 A drawing depicting a German plantation in the area of Limbe (the mountain in the background is Mount Cameroon) at the beginning of the XXth century (by W. Planck). We work in Lower Fungom and we have friends there. We know many farmers who have left the area to go to work in the plantations along the coast, at least 2 days’ ride away from home. When they come back to visit the family they must have some money on them because everyone expects a gift: nephews, nieces, aunties, in-laws etc. A lot of people. So they do not come home often. And they remain workers throughout their life, if they are lucky. 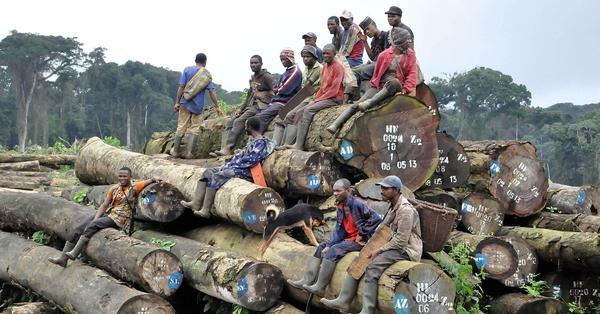 If they have an accident, like falling from a palm tree or suffering from injuries due to ill-handling of engine saws or machetes, they are in serious trouble. Very few of them manage to actually build something solid far from the village. Here lies the problem: until Lower Fungom people will have minimal access to knowledge allowing them to get more specialised types of jobs or more profitable ways of farming, they will hardly be able to save money, or to improve living conditions in their own villages. Until the situation does not change, they are doomed to either depend on others or leave the area and join peri-urban masses of unspecialised workers. We don’t think this is the only possible future for them, neither do they. And we all know the only solution is to provide children with a better school education. We all know that, but they alone cannot make it.